Graphs (also known as charts) are an indispensible visual aid for conveying a lot of data in an easy-to-digest form. Everyone is familiar with graphs in everyday life, such as those showing trends over time, e.g. world population, global warming, the cost of living, interest rates, etc. They are of fundamental importance in the STEM subjects for representing mathematical functions, theoretical predictions, and experimental observations. 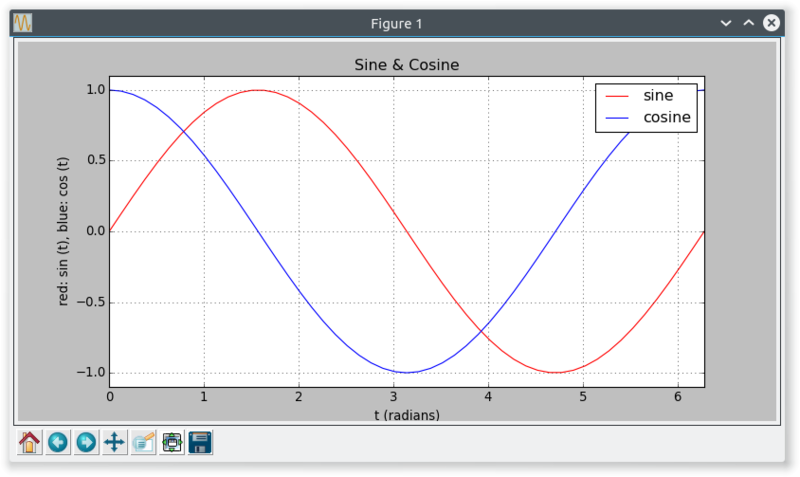 The computer makes it very easy to plot graphs quickly and accurately, especially when using graphics software systems like MATLAB (an industry-standard numerical computing environment and fourth-generation programming language). Matplotlib is a plotting library for the Python programming language and its numerical mathematics extension NumPy. For simple plotting the pyplot interface provides a MATLAB-like interface. It’s usually used together with NumPy, but for this simple introduction we’ll leave it out till the final example. The first example is about as simple as it gets: import some library functions, specify some data, say what to do with it (plot), and then ask to see it. Pyplot takes care of the rest: drawing axes, numbering them, and plotting the graph. We’ll add a title, labels, a grid, and a legend in the next examples. show()                      # show it to me! This one is a simple temperature conversion graph between Centigrade & Fahrenheit. And this final example illustrates creating a 3D plot, with NumPy. Z = np.sin(R)               # Sine of that.